Tame your beast! These Dual Disc clutch kits are undoubtedly a game changer for the performance clutch market. 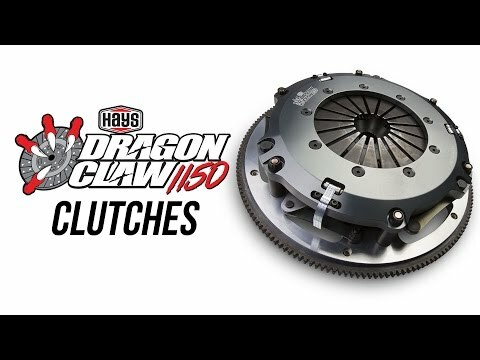 Dragon Claw Clutch Kits are intended for race performance with street drivability. 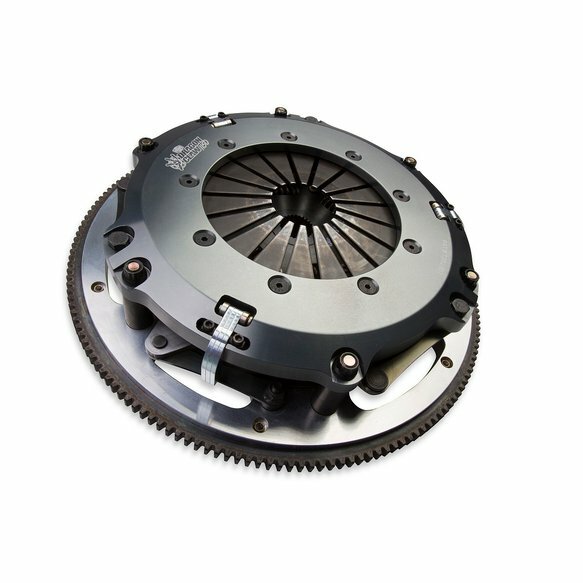 They can withstand the torque of forced induction engines (rated up to 1150 lb.-ft. at the crank) and survive extreme racing use without requiring additional pedal effort from the user. How does this design allow customers to have the best of both worlds? 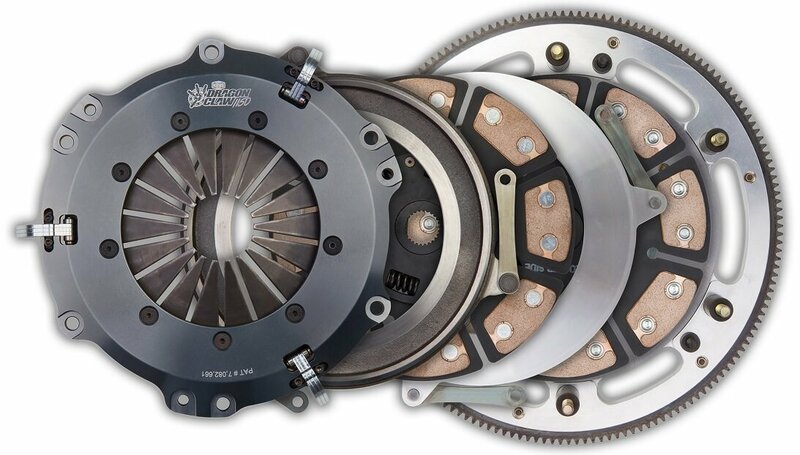 Dragon Claw Clutch Kits use a diaphragm plus patented lever assist combination. 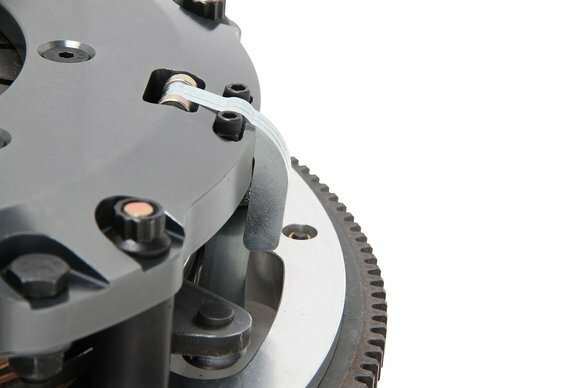 The diaphragm keeps the pedal effort near stock for street use. The levers swing out by centrifugal force as engine RPM increases and apply direct pressure above the pressure plate. 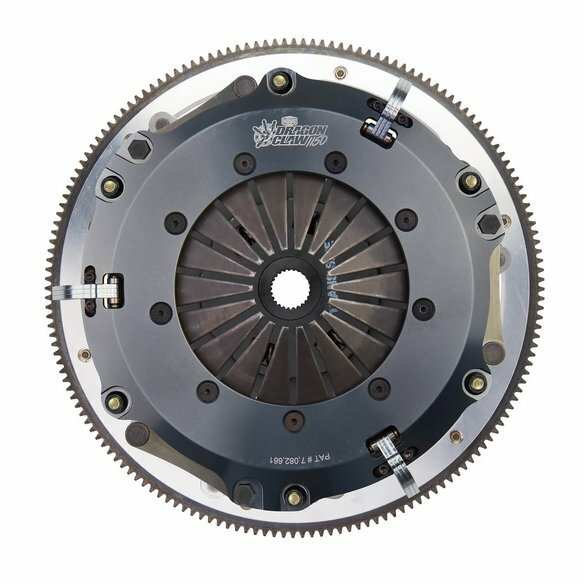 This results in a clamping force that holds under conditions where many of the competitor's "high end" clutches fail.